It takes only a moment to sign a major bill into law. 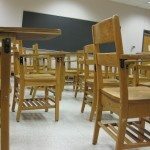 It will take years to implement the new education policy outlined in the Every Student Succeeds Act (ESSA), which President Obama signed last December. The ESSA requires states to develop their own rules, and Oregon educators are looking forward to the possible impacts.